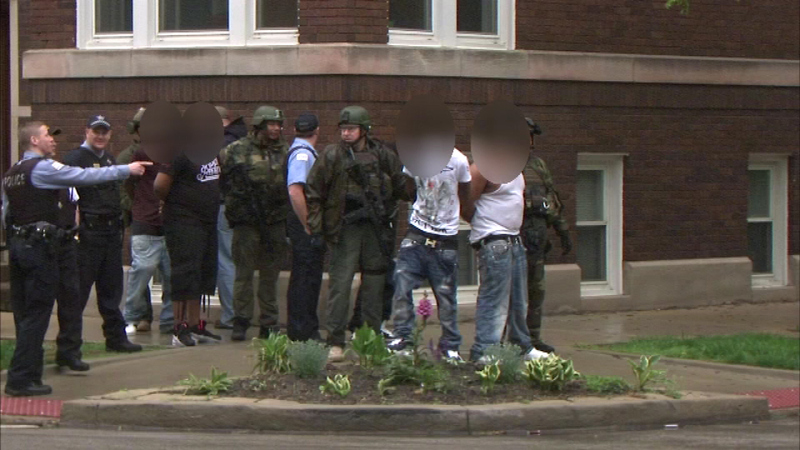 CHICAGO (WLS) -- Thirty-one people have been charged with disorderly conduct following a four-hour standoff with Chicago Police in the Edgewater neighborhood Saturday. The incident began early Saturday morning when someone fired shots from a building on the 6300-block of North Lakewood. Officers happened to be conducting a minor traffic stop in the area. Thirteen men, 17 women and one female juvenile surrendered peacefully.